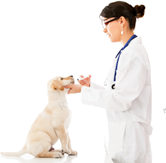 We are a brand new, purpose designed veterinary hospital located in Castle Hill. Hills Animal Hospital is a family owned business offering high quality, personalised veterinary care for your valuable family pets. Our friendly team pride themselves in creating a comfortable and professional environment for both you and your pets. Our facilities are modern and well equipped with the latest technology to ensure your pet receives the high standard of care they deserve. We focus on putting your pet’s needs first and developing long-term relationships with our clients. Feel free to pop in and say Hi! We look forward to meeting you and your four legged friends. Appointments are available Monday – Saturday, call us on 9659 1088 and one of our dedicated team members will be happy to assist with any of your enquiries.